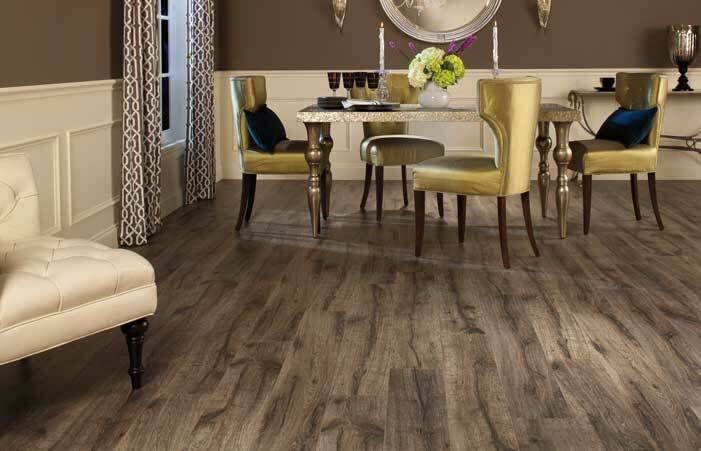 Laminate flooring is virtually maintenance-free. Routine cleaning requires you only to vacuum, use a dust mop, or a slightly damp (not wet) mop and dry with a clean, cotton cloth. Mops with a washable terry cloth mop cover such as the Sh – Mop work great. Regular cleaning should be done with either Performance Accessories Hard Surface Cleaner or plain water (distilled if your area has particularly hard water). With its smooth surface, laminate flooring cannot retain dust or dirt. NEVER use a wax, polish, oil, or varnish coating on the floor. Do not use soap, detergents, oil soaps, shine enhancers/restorers, or one-step clean and shine type products, or any product that squirts liquid directly on the floor. Do not use any type of cleaning machine such as spray mops, steam cleaners, or power cleaners. For dry maintenance use a dust mop, microfiber mop, or vacuum cleaner. Use only soft bristle attachments with your vacuum cleaner. Avoid vacuum attachments with ‘beater bars’, which could damage your floor. Ensure vacuum cleaner wheels are not impregnated with grit; plastic wheels may scratch your floor. For damp maintenance: apply Performance Accessories Hard Surface cleaning products (or plain water) lightly to a dry, soft cloth (never directly to the floor), wipe over floor. (Never use other cleaning products or detergents!) Only use a well wrung out cloth. Always wipe dry immediately after until no moisture is visible on the floor. WET MAINTENANCE MUST NEVER BE USED on laminate floors. Never wet mop or use steam cleaners on your floor. Never use steel wool, abrasive cleaners, or scouring powder, as they will scratch your floor. Laminate is based on pre-treated, glued HDF board. Despite laminate’s relative moisture-resistance, remove any excess water immediately.